Even the meanest, maddest car models are constrained by the fact they need to work on real roads and racetracks; which is not a problem in the PlayStation world of Gran Turismo. 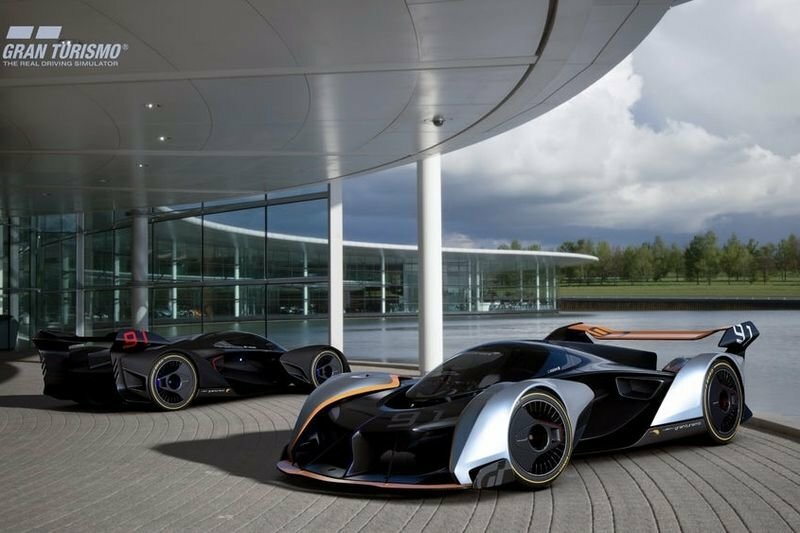 The Ultimate Vision Gran Turismo is a look at what McLaren sees as the future of sports cars, coupled with the kind of blue-sky thinking you can only enjoy in the video game world. Although it has been designed as a video game-only showstopper, McLaren states that every part of the Vision Gran Turismo has still been conceived with function in mind. The cabin of the McLaren has a big, airy glasshouse for clear sight lines in every direction. The driver does not sit in a regular seat, they lie on their front in the middle of the car. McLaren also states that the decision to "shrink wrap" the cabin around a driver lying face-first will allow gamers to hit apexes more precisely. "The amazing glass cockpit and the motorcycle-like driving position – with your head far forward, almost right above the front axle – combine to allow you to see exactly where the apex of the corner is so you can shave vital milliseconds off each lap," says Rob Melville, design director, McLaren Automotive. Power is provided by a hybrid powertrain, made up of a four-litre turbocharged V8 engine hooked up to the rear wheels, and a pair of electric motors on the front wheels. Total system output is a whopping 1,134 horsepower and 1,275 Nm of torque, all of which is available from standstill. Hang onto your controller's kids, this thing will be fast. McLaren also says it should sound good, both inside and outside the cabin.